Real estate agents deal with a vast number of people on a daily basis, and their interactions with these people is a determining factor in their success. The majority of professionals understand the importance of a great first impression, and have techniques to ensure that it is a positive one. However, many of them neglect to understand that a second impression is just as significant! 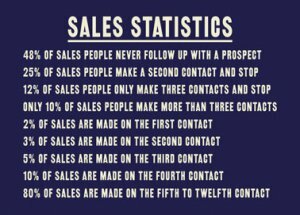 Following up with clients and leads can be the difference between making a sale and making nothing. Agents sometimes walk away from a first meeting feeling so fantastic and confident about it that they forget to approach the client or lead again. This is a common mistake that can easily be remedied. A simple phone call, email or other form of communication to reach out to the person will remind them that you want to do business with them. If they are not reminded of your interest in working with them, it can be easy for them to lose interest in you. Just as there are certain techniques for a first impression, there are also many that can be used to put forward a positive second impression. 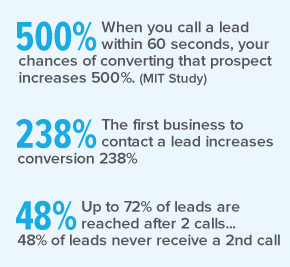 Realtors should familiarize themselves with these in order to successfully follow up on clients and leads. The most common fear of realtors, whether they are aware of it or not, is that a follow up will appear too forward. To the contrary, clients will feel that this shows great initiative. Regardless, it is important to remember not to be too pushy. People want a slight reminder that you are interested, they do not want to be pressured into making decisions they are not ready to make or attacked with information they did not ask for. Just starting a light conversation with a client or lead will open the door to any questions they have that were not answered in your first meeting, any concerns that were not previously addressed and any other information that will help you close the deal. A pushy follow up will appear desperate, and the client or lead will immediately catch on, and wonder why you are so desperate for business. Besides being too pushy, a follow up also runs the risk of not being pushy enough, or being too generic. A follow up that only tells a person that it was nice to meet them and asks if they have any questions is too timid. Realtors can further the conversation by mentioning a comment or question that was previously asked that can be elaborated on or answered in more detail. The client or lead will be more willing to talk if prompted with a certain topic to talk about, and as a result, the door for opportunity will be opened. Realtors can then easily use this open door to introduce new topics or offers. A simple way to ensure a comprehensive follow up is to begin by reminding the client or lead what was talked about before. In some cases, they have talked to multiple firms in an effort to decide whom to deal with, and refreshing their memory will make the process much easier on them. They will not have to search back through their memories or notes, because you have already provided the information to them. This will also show that you as a realtor have a considerable amount of interest in the client or lead. A follow up that is personalized to the situation will seem thoughtful to the person being approached, which they will automatically associate as a positive aspect of working with you. Time is an extremely important facet of the art of the follow up. If a realtor waits too long to approach the client or lead again, it can be extremely detrimental to making a deal, as the prospective client was most likely in a rush and has decided to go with one of the first people who approached them for the sake of urgency. 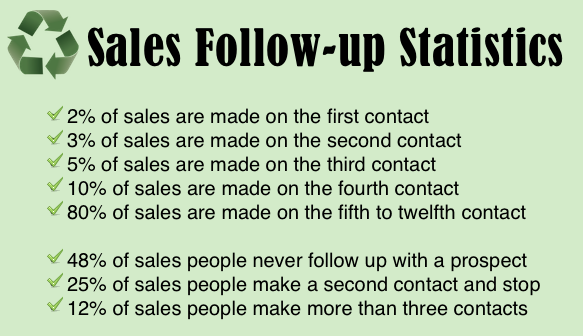 Immediate follow ups show interest and make the person feel as though they are a priority to you. In contrast, a late follow up makes a realtor appear disinterested and noncommittal. The client or lead will feel as though they are not a priority, and will quickly move on to a company that will prioritize their deal. In your first meeting with a client or lead, you most likely pitched everything you have to offer them. This should not be done in a follow up. Reciting your main points can be effective in reminding a client or lead why they should want to work for you, but repeating the same exact pitch verbatim will look as though you have nothing else to offer. The first meeting will be mostly general, given that you do not yet know everything about the client or lead and the second meeting should then be custom tailored to the their specific wants and needs. This will make them feel important, and show that you were really paying attention to what they had to say in response to your first pitch. If there were aspects of your presentation that seemed uninteresting to them or irrelevant to their situation, they should be left out. If there were parts that they responded well to and asked many questions about, these should be what is reintroduced in a follow up. Finally, you must realize that not every follow up will go well. Many calls or emails will go unanswered and many no’s will also be delivered. It is important to remember that this sometimes happens, and you should be prepared for when or if it does. Fortunately, there will be also be many successful follow ups, provided you follow these various rules of thumb.